Aloe vera has long been used as the main ingredient in beauty treatments, especially facial skin care, as evidenced by the many beauty products in the form of creams, face masks, face soaps and various other types on the market and all claim to be able to overcome various problems on the face one of them is able to treat acne and remove the scars. The question "Why is Aloe vera very superior in overcoming acne on the face ??? Is that a question in your mind ?? Yups ,, the second question might sound like this "then how does aloe vera work in getting rid of acne and overcome the black stain on the face caused by acne? The third " Then what is the content of aloe vera so this plant is so nutritious to care for facial skin beauty? Let's discuss one by one, read this article thoroughly so you get clarity about the benefits of aloe vera. Currently aloe vera became the target of women, especially those who have problems with acne, this is because they want to treat acne naturally without harmful side effects to their skin. Gel found on aloe vera is not only beneficial for hair health, based on various research and research conducted by scientists gel on aloe vera has a tremendous benefit for skin health, one of the benefits is to treat acne and remove scars caused by acne . the benefits of vitamin A and Vitamin E for the beauty of facial skin is to brighten and make facial skin glow. Lignin is one of the other ingredients found in aloe vera, the benefits of this lignin acts as a facial moisturizer, by applying aloe vera gel will make the skin moist and nutritious over the skin scaly and dull skin, another gel has a usefulness to improve the elasticity or skin firmness. this substance has anti-bacterial and anti-microbial properties that also have a function to absorb excess oil on the face. By utilizing this compound acne on the face in the treatment while preventing back acne it appears on the face. 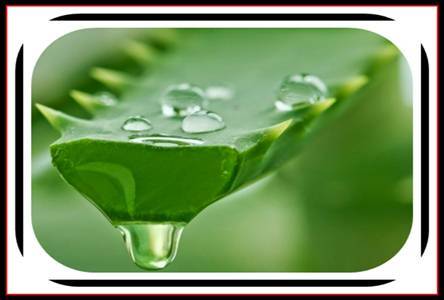 Gel on Aloe vera is also useful to remove black stains / black spots caused by pimples are squeezed. Usefulness of other aloe vera is to accelerate the healing of external wounds and overcome the irritation of the skin. Aloe vera contains anti-inflammatory substances so that wounds or scars due to acne will soon heal and not trace. To get maximum results, you can do it the night before you sleep, after doing all the activities, so it will make the body and facial skin relaxation. Perform this process regularly / regularly every day, feel yourself the usefulness and benefits of aloe vera mask that you make yourself. That is the secret of beauty that has existed since ancient times, which became the secret of the beauty of the concubines of the king, who make their appearance always look elegant and charming because their faces are always beautiful to the eye. Thank you for visiting this blog, enjoy the wonderful benefits of aloe vera, remember beautiful is not always expensive, there are many beauty secrets naturally that the benefits are more extraordinary than the beauty products out there.